As of Wednesday January, 16th the government shutdown has persisted for 26 days. Amidst the longest partial shutdown in our nation’s history few sectors of our government have not felt the effects. The impact on SNAP recipients has been of growing concern for Forsyth Farmers’ Market. 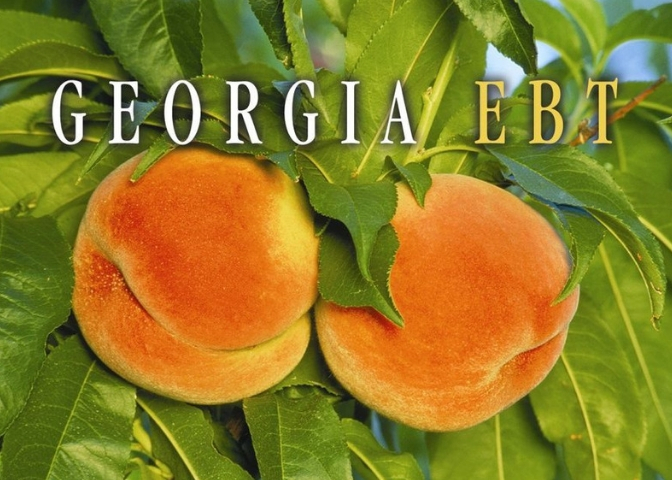 As noted in a previous post, Georgia’s February SNAP dollars were distributed to participant’s accounts early. These additional funds, which were received for most at approximately the same time as their January benefits, must be budgeted to last participants until their March date of distribution. We stress there will be no benefit payments in the month of February and with the shutdown persisting there is no word on the availability of March funds. The funding needed to cover February’s SNAP distribution was secured through a provision in the previous appropriations bill. Since this bill was no longer in effect, state’s were limited to a 30 day window to apply for this funding. This window expires January, 20th, forcing states to receive and distribute funds nearly a month early. This shift in distribution time affects 12.9% of households in Chatham county and 15.3% of households across the state of Georgia. Of the households in Savannah receiving SNAP, 57.2% have children under the age of 18 years old. The government shutdown has not affected WIC participants in the same way. WIC is a federal assistance program specifically for low-income expectant or new mothers and their children. WIC is administered through USDA grants, but on a state and local level. Their funding is secured through at least the end of February with no significant changes to distribution. 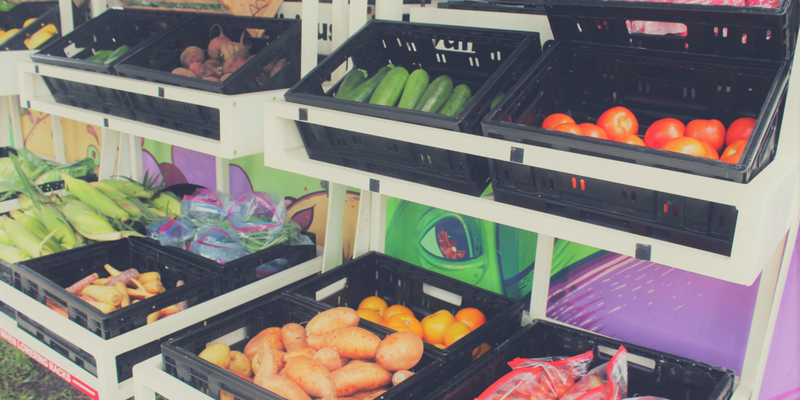 For SNAP participants, even with February funds secured they are facing a new challenge with budgeting and a growing sense of insecurity when it comes to the future of their food access. If you would like to contribute to family’s security at this time you can donate to the Full Plate Program through our website’s GIVE button. 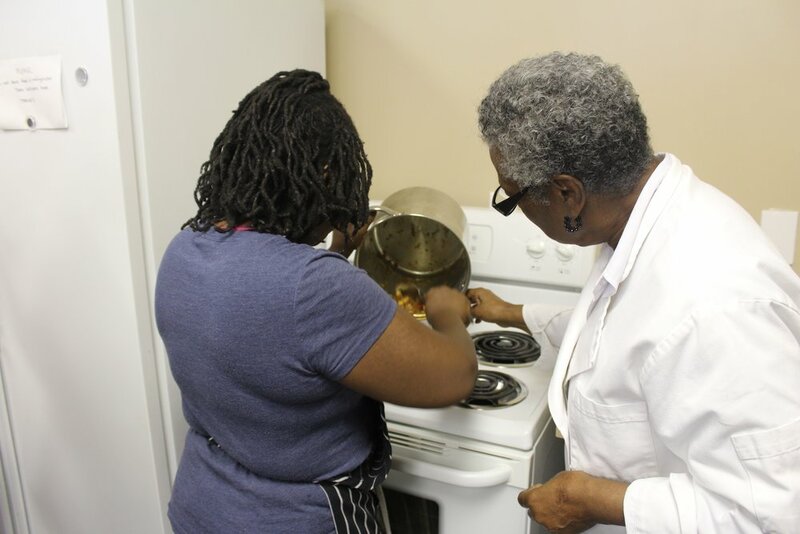 The Full Plate Program is an intentional free-food program focused on nutrition security for Savannah’s low-income families and those who have been affected by the government shutdown. Fu, Jessica. “USDA Finds $5.1 Billion to Fund Food Stamps Program through February.” New Food Economy, New Food Economy, 11 Jan. 2019, newfoodeconomy.org/usda-food-stamps-snap-funding-shutdown/. 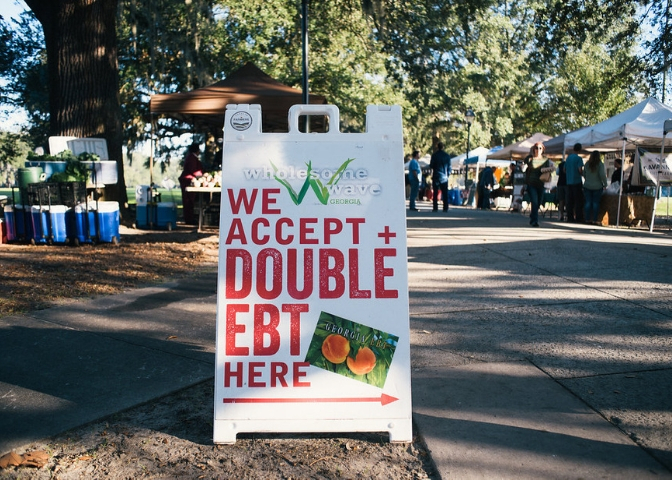 The Forsyth Farmers’ Market, a local non-profit organization that seeks to promote a local food system in Savannah, looks forward to new changes and continual growth in the 2019 year. The first farmers’ market of 2019 will be Saturday, January 5th in Forsyth Park from 9:00 am until 1:00 pm. In addition to all of your old favorites, several new vendors will be joining farmers’ market this year. We have two new farms: Whippoorwill Farms and Ebenezer Greens. We will also be bringing in several new prepared food vendors: The Blissful Whisk, Savannah Cheese Rolls, Savannah Square Pops, and The Grey Market. Savannah Hydroponics and Analog Public House will also be joining us later in the spring. Each year, the market continues to provide local entrepreneurs with a downtown venue to sell products while maintaining a 60/40 ratio of whole food vendors to prepared foods vendors in line with our vision of supporting local agriculture. All the vendors at our market are chosen by a volunteer led committee. As many of you know, Forsyth Farmers’ Market has been closely following the 2018 Farm Bill. The Farm Bill is a nearly trillion-dollar legislative policy that encompasses a huge range of federal food and agricultural programs, from crop subsidies and crop insurance to the Supplemental Nutrition Assistance Program (SNAP). The bill is only updated once every five years. We have lobbied our local officials, advocated for changes that are inclusive of our community and worked to educate the public on the importance of the bill. Over the summer, both the House of Representatives and the Senate passed different versions of the Farm Bill, each reflecting their stance on SNAP and other agricultural programs. Over the past few months, representatives from both houses have met in a conference committee to iron out the differences of the two bills. The House of Representatives passed a bill that included huge cuts to the SNAP program and enforced inflexible restrictions through strict and unjust penalties. These restrictions and work requirements became the largest barrier to negotiation between the House and the Senate as the Senate did not support the inclusion of the new work requirements (NYT, 2018). Now, a compromised bill negotiated by the conference committee will be brought before both the House and Senate for voting. This revised bill is much more aligned with the Senate’s previous version than that of the House’s, according to Senate Agriculture Chairman Pat Roberts (Politico, 2018). Full details on what the compromised bill includes have not been released, but will be made public once the Congressional Budget Office scores it (says how much it will cost). Dan Gunderson and Elizabeth Dunbar wrote a summary of what is expected to be found on the most recent version of the bill for MPR News. That summary can be found below. Collin Peterson, mentioned in the summary, is the lead Democrat for the House Agriculture Committee. You can find an update from us on the 2018 Farm Bill following this month’s vote. “Small dairy farmers come out ahead in the bill, Peterson said. "If you have less than 5 million pounds of milk, and that's about 240 cows, under what we've put in the bill, you will not be able to lose money," he said. "Hopefully we'll give the safety net dairy farmers need to stay in business." The Conservation Reserve Program, which pays farmers to set aside land for conservation, will grow by 3 million acres, he said. But Peterson added that payments will be capped and landowners won't be able to get extra money to pay for things like planting pollinator habitat. "We're trying to simplify the seed, trying to get rid of the pollinator habitat stuff, trying to get this back to what it used to be," he said. "If I had my way, we'd have alfalfa and bromegrass," grown for cattle feed, in the program. Crop insurance programs will see some minor changes, Peterson said, aimed at achieving more consistent payments for farmers. He said the bill preserves the Conservation Stewardship Program, which pays farmers to use practices that reduce soil erosion and promote better water quality, such as planting cover crops and altering the way fertilizers and herbicides are applied. Minnesota has been a top recipient of the program. "There was a big fight over that," Peterson said, explaining that some in Congress had wanted to change the way it works. Ultimately, he said, the program will remain in place as is. Additional money for forestry management, which President Trump had called for following the wildfires in California, did not end up in the bill, Peterson said. As I approach my one year mark as the executive director of the Forsyth Farmers’ Market, I keep coming back to that word to describe my feelings toward this past year. As soon as I started in this position, I realized just how big the team was behind the Forsyth Farmers’ Market. As a vendor, I saw the staff on Saturdays that did so much to make sure markets went off without a hitch. Moving into a role on that staff, I learned there was also a whole team in the background supporting this organization. There is a community around the Forsyth Farmers’ Market who cheer us on every week. This community is filled with volunteer leadership through our board, volunteers who help on a weekly basis, donors who ensure we are able to operate successfully each week, and of course the shoppers who no matter the weather, come out in full force to support our organization and the farmers. I try to make it my mission to thank each of you weekly. Whatever your role is on this team, I want you to know how much you are appreciated. Of course, I need to spend some time talking about the heroes of this operation. I can tell you from my own experience that our farmers are some of the hardest working people in this area. And every day they go to work on a hope and a prayer that they will be successful in not only growing produce but have the ability to sell it as well. Even as hot as it’s been this summer and as wet as it was this spring, these farmers don’t ever seem to give up hope. To these amazing men and women, thank you so much. You feed us, you teach us and you inspire us. I’m also thankful for the community that has rallied around the Farm Truck 912 program. This past year has seen tremendous growth in the farm truck program. We expanded to eight stops. While only adding one stop, we have doubled the number of customers. The reach of the truck grows weekly due to community support. A big supporter of all of this growth is our local non-profit community. While each organization has its own work, we are all working for a common cause. There are countless e-mails between organizations making sure that no clients are slipping through the cracks and that the organization who can best serve someone in need is being contacted. These folks cheer for a group success, not just their own. I’m impressed daily with the work of all of our partner organizations. This group is also filled with career nonprofit professionals who are happy to share their expertise from years of service. Thank you all. I do want to take a moment to thank our Board of Directors and all of our committee volunteers. When people use the term “working board” they are clearly talking about our board. Our board and committee members work hard to make sure we have the funds necessary to operate, our programs are functioning at their greatest potential, and the community is aware of the work the organization does. These folks are all amazing. Thank you for your trust in me, your belief in our mission, and your leadership. Finally, I want to thank the staff of the Forsyth Farmers’ Market. Every day I am surrounded by a group of individuals who truly believe in our mission of helping farmers and improving food access. Each person brings their own, unique, set of experiences when it comes to food and farm issues but they all share a passion for seeing the local food movement grow. The market staff works so hard in all they do, whether that’s making a welcoming environment, offering a farmer support, or explaining how our SNAP doubling program operates. I’m inspired by each one of them and so appreciate them all. As I start my second year, I can’t help but be excited about where we are going. So many people want to help make our farmers successful. There is a ton of work being done to make produce accessible to everyone in Savannah. I am proud that we are helping to lead the way to make this the most delicious, nutritious, scrumptious city who supports one another and our broader community. And more than anything else, I am grateful to all of you for being a part of this journey. Come most Saturdays, you’ll find Chris Molander, owner of Vertu Farm, at the farmers market selling naturally grown microgreens, mixed greens, and other produce. 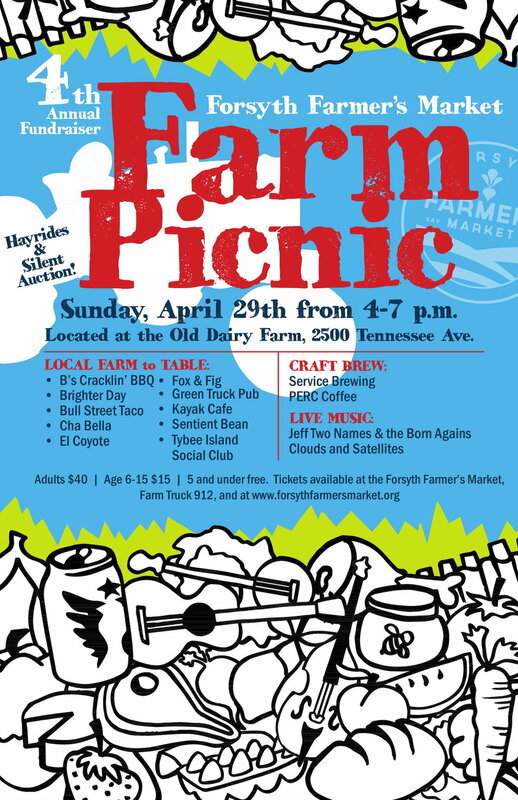 Chris is a part of the Roberd’s Dairy Farm community, a hub of small agricultural based businesses that share green space off of Pennsylvania Avenue in Savannah. Chris may have inherited his green thumb as his family has always had an affinity toward agriculture and growing food. His great grandfather was a salesman for a seed company in California called Germaine’s and his grandparents tended a garden. One of his uncles has farmed on and off for 20 years. Chris also recalls memories of seeing fruit trees always around with his uncle as an arborist. Prior to starting Vertu Farm, Chris himself had farmed on and off for eight years in South Carolina and California. Savannah became his home when he followed his girlfriend, now wife, Mariana here after they finished college. In early 2016, Chris decided to take a stab at urban farming in the sandy soils of our coastal city. If you spend a day at Vertu Farm, you will quickly see for yourself the result of intensive soil management. Vertu Farm is booming with biodiversity; snakes, frogs, bees, fungi, weeds, earthworms, spiders, etc. He doesn’t use pesticides, herbicides, or inorganic fertilizers. Instead, he has focused primarily on building a strong foundation through soil health. He plants productive leguminous cover crops which allow nitrogen-fixing bacteria to live in their root nodules, replenish the soil, and help to sustain future growing. He controls weeds with suppression and prevention practices such as; ground covers, mulching, and torching. He uses compost and applies organic fertilizers such as fish emulsion to meet the nutrient needs of his plants. He is cultivating an ecosystem out there – one in which the macro and microorganisms contribute to and replenish soil health. His sustainable farm practices are similar to those values advocated in the early organic movement by Sir Albert Howard. Q: Of all the things you could do, why urban farming? A: I love being outside, and I love growing. Additionally, I love all of the little problem-solving, troubleshooting, and planning that being a farmer requires. I think it is the perfect job for me, and I find it very fulfilling. There is a reason that many people celebrate farmers in the way that they do, and a reason why the profession is kind of “glorified” as it is today: it is truly a wonderful profession, and very important one for all of society. As far as the “urban” part of farming, I didn’t exactly “choose” that, it’s just what was available to me at the time. I’m so blessed to be a part of the Roberd’s Dairy Farm community. It’s truly a beautiful and special place. Q: You mentioned you grow naturally out of tradition -- because it’s something you did at your job in South Carolina. But is there something more that keeps you growing this way? Chris: Yes I started growing organically because that’s how it fell out on my first farm, but it’s definitely developed for me from there. I think it’s primarily the concept of sustainability that keeps me rooted in the organic movement now. People have been worried for years about the over usage of antibiotics in hospitals and prescription applications. Pesticides and herbicides are no different, and I would venture to guess that the amount of those chemicals that are applied annually outweigh antibiotics by a vast margin. The long and short of this is: mankind is speeding up the evolution of farm pests by the use of conventional agricultural practices: e.g. monocropping, pesticide, and herbicide use. This is to say nothing of soil development and conservation practices! I have always been one to sort of go against the grain, so when I hear people touting the latest “studies” about how much more you can grow in an acre conventionally, or with GMO seed, or with whatever other methods I disagree with ideologically… I want to prove that wrong! And of course, some farmers do claim that they have. I want to be one of those someday. This movement is still very young and not a lot of people understand it well—myself most of all! I’m really just kind of winging it, doing the best I can, and seeing what happens! There’s a question that consumers tend to habitually ask farmers. It’s “is this organic?” And while that question is understandable when we think about the overall values of the organic movement and the push toward more environmentally friendly and consumer conscious food production practices, this question is too simple of a question for some and does not give a truly accurate depiction of how our food is produced. We must remember that there is no one right way to farm; whether it’s conventional vs organic, no-till vs till, permaculture, etc. When individual farmers invest in land rather than giant international corporate farms, they are inherently invested in creating sustainable farming systems and good practices that will keep the land viable for years and years to come. Instead of focusing adamantly on ‘organic’, we should talk more about the basics of sustainable practices and policies that keep small farming a viable economic opportunity. According to Chris, a considerable amount of his weekly revenue is accounted for in direct sales to consumers. It seems we, as a community, have done a good job in supporting local farmers. And naturally, this particular producer-consumer relationship is mutually beneficial. But, there’s always more support to be garnered and change to be had. As a community, we have a collective purchasing power to effect positive change in our food system; a food system that serves the values and needs of the community. And that begins by supporting the efforts of small and local farmers, restaurant owners, non-profit organizations, institutions, and other entities who seek to challenge what is. Grant Anderson, owner and operator of Better Fresh Farms, has seen a growth in demand for his product over the past few months. It's truly no wonder why. He has been able to provide the Savannah community with a consistently unique product despite the challenges faced by the climate and weather. His method? Growing vertically & hydroponically inside of shipping containers. Grant began his company with a strong desire to improve the local food scene in a sustainable, environmentally conscious manner. He not only challenges perceptions surrounding fresh food by engaging in meaningful conversations with people, but he also provides us with an alternative product -- one that is truly fresh, tender, and will last an impressively long time in the fridge despite being perishable. Grant has been incredibly thankful for the connections he has made at the Forsyth Farmers' Market. Unfortunately, he will be taking a break from the weekly farmers market until the summer. He says, "I've been blessed to have an opportunity to work with Bon Appetit (SCAD's food service coordinator) through their "Farm to Fork" initiative to encourage purchases from local farmers. They have agreed in conversation to buy all of my lettuces for the remainder of the spring semester to feature at their campus restaurant "beeFUEL" in The Hive near student housing. I am also very grateful to be selling some of our whole head lettuces & chervil to Chef Tyler Williams at Husk Savannah each week. All of my remaining kale, swiss chard, pac choi, and radishes that I typically bring to FFM are currently going to Brighter Day Natural Foods Market at the end of each week." It's important that farmers have the opportunity to diversify their clientele to ensure sustainability. We are so excited he's been able to secure gigs that are incredibly valuable for his company going forward. The Farm to Fork initiative with the SCAD community will be a great opportunity for Grant to bring more awareness to college students the power of their purchasing power and the importance of supporting local farmers. Grant will return soon to the weekly farmers market to continue connecting with his consumers and growing his demand base. 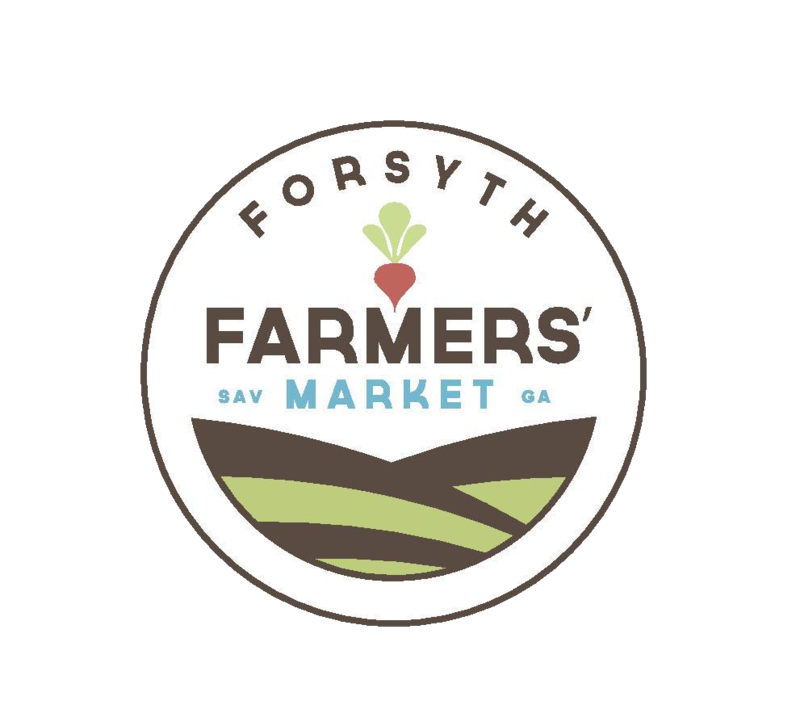 While you're making your end of the year contributions, please consider supporting the Forsyth Farmers' Market. Farm Truck 912, the mobile farmers market, will be down for the month of December but is planned to resume operations on January 16th, 2018. The new year will bring forth new changes with the program; times, locations, product variety, and partnerships. 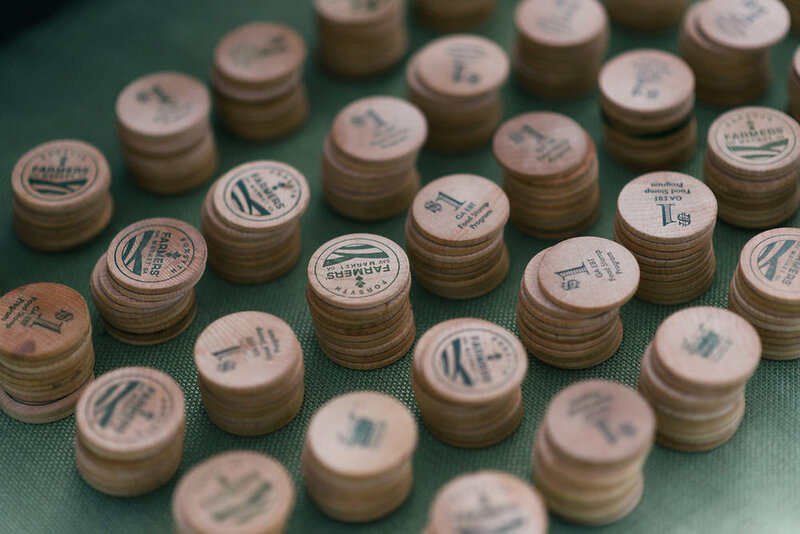 The Forsyth Farmers' Market annual fundraiser, Farmsgiving was held on Saturday November 11th. A special thanks to the organizers, local businesses, donors, and attendees who made the event a great success! We invited community residents and businesses to host a dinner party event for friends and family while accepting donations on behalf of the Forsyth Farmers Market. The dinner party specifics were left up to the preference of the party host -- and they ranged from a back yard casual get-together to more formal events. Party hosts were also encouraged to support local farmers in their purchasing of ingredients! Lulu's Chocolate Bar donated beautiful cakes for the deserts of the party. If you'd like to be a part of next years' Farmsgiving, stay tuned. Details will come out around October 2018. Our nutrition educator, herbalist, and community activist, Ayo Ngozi taught the first 6-week session of nutrition education classes here in Savannah this past summer, 2017. In the coming 2018 year, this course will be taught in community centers in Savannah [dates pending]. The course is based on the Oldways, A Taste of African Heritage curriculum. The course is designed to teach people how to eat and cook healthfully, traditionally, and enjoyably through hands-on experience. The class covers a specific food group each week from the African Heritage Diet Pyramid. From the Food Guide Pyramid (1992-2005), to MyPyramid (2005-2011), and now – to MyPlate, the USDA has gone through many graphical representations in attempt to help people better understand how to eat healthily. The opinions surrounding these graphs are certainly not few and far between, to say the least. But that’s to be expected with an attempt to standardize and simplify something so complex, variable, and culturally dependent — our diets. A Taste of African Heritage introduces to us a food pyramid which intimately connects culture and food – in a way that can add value to our lives, deepen our connection with our food, and strengthen social connections. This diet specifically places an emphasis on eating like our ancestors – because we are evolutionarily adapted to an environment quite unlike the one we live in today. As a society, we have done a great deal of damage to our health. Profound changes have occurred in our diets over time; from the introduction of agriculture and animal husbandry to the use of genetically modified foods. The interaction of the environment, genes, gene expression and the relation to food and disease is a whole mess of complicated. There is not easy explanation for the prevalence of chronic disease in our country. But there is an increasing awareness that a disease does not arise from one single dietary element (say for example, saturated fat). It is the interaction of nutritional factors directly linked to excessive consumption of novel Neolithic and Industrial era foods (dairy products, cereals, refined cereals, refined sugars, refined vegetable oils, fatty meats, salts, etc.) — our environment has changed too fast on an evolutionary time scale for the human genome to adjust.3 And paradoxically, food has become a poison in our Westernized diet. Simply put, we must get back to our roots. And that is what Oldways is about, at it’s core — our cultural roots.